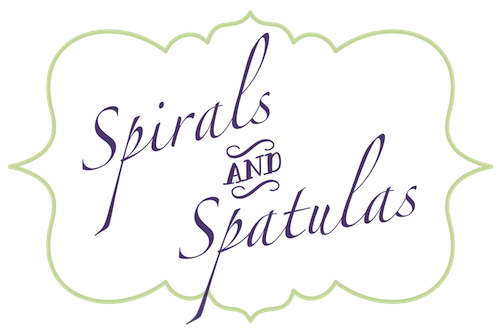 Spirals & Spatulas: Spirals & Spatulas is Turning Two! 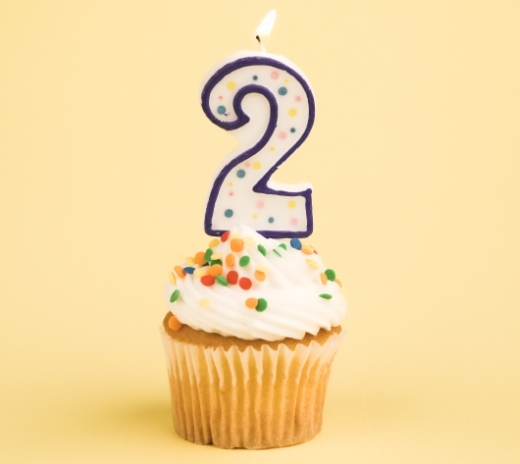 Today marks the two-year anniversary of Spirals & Spatulas! I kind of can't believe I've actually been documenting my life here for two whole years! The first year of the blog was completely full of wedding stuff, and I've really enjoyed branching out over the last year to just document our regular, everyday life. I know Spirals & Spatulas has quite a few more readers and more followers now than it did a year ago, but honestly - I've dramatically decreased the amount of attention I pay to that sort of stuff. I feel like I've finally started to stop thinking about what my readers will think, and instead I just write for me and let my personality actually come out, and I'm loving it. Don't get me wrong... I LOVE my readers! I love that I have so many frequent commenters (your comments make me smile every day!! ), and I love that my readers come from so many different places and backgrounds and stages in life. I love that some of you have been here since the beginning (back when Spirals & Spatulas was all-wedding-stuff-all-the-time!)... how things have changed since then! Spirals & Spatulas is definitely growing up. I received my first inquiries about advertising on my blog this year, and I turned them down because it just didn't feel right. Right now the blog is so representative of me and my personality, and I just didn't want to dilute that with ads for companies that weren't totally representative of my goals for the blog. I'm not sure if I'll ever find "the perfect advertisers," but for now I'm happiest to just keep the blog the way I like it, without any ads clogging up the sidebars. I was recognized in public by some blog readers for the first time at Alan & Katie's wedding this year, which was a totally bizarre experience! It still amazes me that my life and blog are somehow interesting enough to keep so many of you coming back again and again! I completely love it! Who knows what's in store for Spirals & Spatulas in the next year... maybe I'll actually learn how to take better blog photos and figure out how to predict which posts will be popular (my favorites always seem to be the ones with zero comments! haha!). As always, I appreciate my dear readers so very much! This blog has been such a wonderful way to document our life (since I can't seem to find time to scrapbook anymore! ), and I'd never be motivated to keep doing it if I didn't have so many wonderful readers! I can't wait to see what Year Three brings! Katie! I realized I never commented on recognizing you at Katie and Alan's wedding. Still reading your blog. 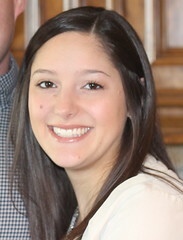 I even started one of my own :] congrats on pretty blog. Hard to believe it's been 2 years! Yay!